I have been through many struggles in my nine and a half years of sobriety. I broke many times before, and many times I had put myself back together. Some of them I wasn’t sure if I could get through sober at all, but I did. Except for this time. And even though I had all the tools, and I had all the support, and I knew what to do and what not to do, I just felt so broken, and in so much pain that I found myself in a downward spiral. I was emotionally spinning. I was physically totally exhausted. Spiritually, I had lost my faith, not sure if a Higher Power existed, nor did I care if it even existed. The emotional turmoil was overwhelming and I just wanted it to stop. And then I broke. And I fell apart in a million tinny pieces. And I tried to pick them all up and put them back together, but there were too many. And I got so lost. And I was dangling off the edge. And, I crashed! I know you may feel angry now that I have not said anything earlier, but I had to make sure that my footing was steady again, and well, find some damn courage to open my mouth about this. It sure is not easy to be coming back after a relapse but that’s just the damn ego babbling. First, I am super grateful that I survived! Second, I am super grateful for the amazing women in my network who had come to my rescue and carried me from the disaster to a safe place! LOVE them to pieces forever! And thirdly, I am super grateful for this experience, because sometimes you need to break hard to pick yourself up and rebuild a brand new you! 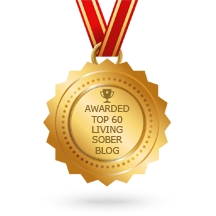 I stumbled many times, for many years, before I had some sober time and a continuous sobriety date. Then again, after eight and a half years. Does it all go to waste now?? NO, most definitely not! We still learn through every sober period, and every drinking period and it is how we use what we have learned that is important! It is a statistical fact that most people take a few if not more attempts to get and stay sober, and some just fall flat on their face (like me). But I survived! We survived! I know continuous sobriety is very important to many, but I believe that all periods of sobriety are very important because there is still hope and growth. The only time that is all gone is when you are 6 feet under! So, if you’re breathing and working towards it, you are succeeding! I been thinking lots about it all and I cannot just chuck all I have learned in that time, neither I can chuck what I had learend through this experiance! Yet, some have said to me that I am now a newbie, and must start over, and from the beginning. But do I? Why? What does that even mean in this context? Do I just lose it all?! Well, I am not willing to see it that way, and I am not willing to beat myself up for being human and making mistakes! I am however willing to keep moving forward! I am willing to grow and learn from it and patch up the holes within me and in my recovery, that need more work! And yes, I have restarted my “continuous” counter, but I think we are often too hard on ourselves which in turn may cause some to relapse even more. I am grateful for those that could stay sober from the get go, but we are all miracles so let’s not make “failures” out of the people whose path is not as straight! But I felt lots of judgement from different directions, and have needed to pray to get rid of my resentments. Since when is recovery a race or a competition! And since when is “your” way the only way? And since when do we condemn people for stumbling? I don’t know but I’ve had many people take my inventory lately. I do know however that the reason it all bothers me so much is because I felt like a failure and I felt like a disappointment and I feel like I should have known/done/called/blah and blah, better or more or whatever. But I did not. So, there was a hole somewhere in my recovery. I do not currently I feel like a failure or a disappointment, but the ego fights hard no doubt. This is definitaley something for me to look at, because there is a reason why it bugs me and it is somehting within me. When people say negative things to me that is a projection of themselves, but when I take on their projections, then I make the projections about me. So, what I am saying really is that nothing is lost in a relapse, all is a lesson and a learning experience, AND there is more work to be done. We must remain teachable and open to learning and growing. I have learned a whole bunch from this experience. Most importantly I believe, I have learned that there are only 2 choices in life, you either accept the situation you are in or you change it. There is no gray area. Let me repeat this again: there is no gray area! Just like you can’t kind of love someone, and you can’t kind of believe in a Higher Power and for people like me we can’t just have one! You either trust or not. You either change or not. You either live or die. For years I thought that there were many gray areas, and many possibilities. True, there are, in some ways, but they only open to you once you decide the basics – either this way or that way. You decide and then keep going! Thank you for this. I relapsed at 9months and started back over. All your feelings, I had them too. A newbie? Start form the beginning?? I almost have 6 months again. I know it not he same thing you went through but I don’t feel so alone. Glad you are back and strong! Thank you. I model my sobriety of of others. I know it’s bad but I “looks” like everyone is perfect and I go crazy trying to live up to that. Thank you for your honesty. Yes! For years I have tried to be perfect – and I am definitely not! I am actually liking being me – open and honest ,and real! It is the real FREEDOM! I love you! I’m so very grateful to God that you made it back out of that soul-sucking abyss!! Oh Abbie, I don’t think​ anyone could have saved me. It had to happen – well it happened for a reason. I needed a big wake-up call. I am better because of it. Not to say that it was good, you know what I mean. It was horrible. But I am back stronger and hopefully a bit more wiser! Hugs and ❤! Thank you Rose! It was hard to get open about this but I wasn’t feeling good about not sharing it. For me and some for other, because we learn from each other. So hopefully this will help someone stay sober another day, or pick themselves up after a relapse and move forward! Thanks for stopping by! Hugs and ❤! Hell Ya!!! That,s what I am talking about. That was the epitome of Sober Courage, Mag Shores my new friend, just for the record as a friend of mine in recovery, I love you. Thank you for your support, thank you for our chats, thank you for being you because YOU, make a difference! Beautiful piece my friend you are amazing. Thank you!! You’re a huge inspiration to so many. Keep shining and moving forward! Hugs and ❤! You as well my friend together we will be beat this S.O.B. Soldier on my warrior friend! I know replace is always an option. I try very hard to suppprt myself emotionally and physically so that I can live the simplest life possible. I can only imagine you are at a loss to understand how things ended up as they did, but you are back on the path of living now. That is what truly matters. Take care. Look for support in places younever have. Maybe you will find something amazing. I actually now think that relapse is definitely not always an option. But it can happen. And I do understand how things got so out of control. I’ve been processing it since it happened and learning and healing from it. There is lots to the story that I can’t really talk about publicly. But there is always a way – I chose the wrong one. So I need to learn from it, I believe, so I don’t repeat it. Thank you’re much for your support. Sending big hugs! I’m so grateful you got back on the horse! 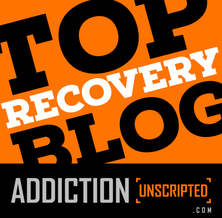 I think we need to stop all the judgement and shame about relapse – of course you don’t “lose” that time! It’s all a learning experience, and while maybe it’s one you wish you didn’t have to go through, you’re going to be rewarded with knowing even more about yourself. I think in AA sometimes we forget that drinking is the natural habitat for alcoholics. So it shouldn’t be a shock when someone goes through relapse. We need to examine what’s working for us (and what’s not) and have the courage to change the things we can.